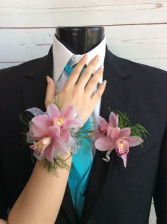 Endless Creations Flowers & Gifts can customize your corsage & boutonnieres to match your dress and his attire. Bring in a picture of your dress and if you have a pinterest board of prom items you like share that with us which will give us insight to your likes. 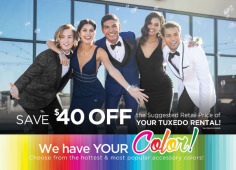 We are a full service florist also providing Tuxedo & Suit rentals through Jims Formalwear. Prom is a big deal to any teenage girl. Perfect makeup, dress, shoes --- but what about flowers? Prom corsages must be perfect as well! 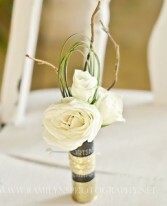 Stop by ENDLESS CREATIONS FLOWERS AND GIFTS and let us help you create a something special. With a picture or description of the dress, we can create something that not only matches, it enhances the dress' beauty.